Brake Repair - Marin Express Lube | You Ride On Our reputation!Marin Express Lube | You Ride On Our reputation! Clients tend to call around asking “how much for brakes” and shopping for the best price. The reality is, there are too many unknown parameters for any shop to “quote” a price over the phone. If they are, then the shop is just using a low number to get you in their door. The only way to get an accurate quote on brakes is to have them inspected. Not just the front or rear, but the whole system. Front and rear brakes, along with the hydraulic system, work together for reliable and safe braking performance. The pads and shoes should be measured. The rotors and drums should be measured. The hydraulic system should be inspected and tested. This will give the shop a better idea of what components need to be replaced and which ones can be saved. Most reputable brake repair shops will inspect your brakes at no charge if you choose them to perform the brake repairs. 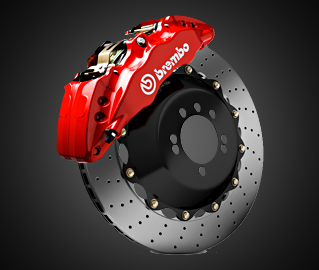 Now, when shopping for brakes, be alert to shops that are quoting prices which are way less than everyone else. Cheaper labor and cheaper parts are how “production” shops get away with lower than normal estimates. Many of these shop models are based on car volume and not always focused on the overall quality of the repair. Keep in mind, I can’t stress this enough, we’re talking about your brakes. Your ability to stop reliably and keep you safe! Saving $50 could cost you thousands or worse if they fail or don’t perform as they were designed. We have served the San Rafael area with brake repairs and service for several years. We will inspect your vehicle thoroughly and provide you with a detailed inspection so that you can make good educated choices on your braking system needs. Not all brake parts are created equal. There are many choices for parts that a shop can choose to put on your vehicle, that doesn’t mean that they will all perform the same way. Here we will only use certified trained technicians and quality parts that we would use on our own personal vehicles. The parts that we choose are what work best for your particular vehicle and use. Our parts have to stand up to our 2 year 24,000 national warranty! Anything less is not acceptable. That’s why we hope you choose Marine Express Lube for all of your San Rafael brake repair needs.